International company formation including free bank account opening, professional guidance and complete documentation, for more than 3 decades! Legally compliant, with no hidden fees! 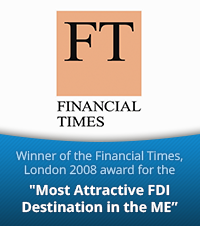 Do you want to form an offshore company, or take advantage of the benefits of a company in Cyprus or free zone company? Privacy Management Group offers free, multilingual support (both prior to and after registration of your company) and certified services. PMG’s package of services includes the opening of a business bank account, as well as the provision of complete documentation (incl. apostilles and certificates), a complete corporate kit and much more. EU residents who wish to relocate their fiscal place of residence to Cyprus can take advantage of the non-dom programme. Privacy Management Group, together with its team of tax advisers and lawyers in Cyprus, offers you comprehensive solutions. For more than 3 decades, Privacy Management Group has been specialised in providing tax and legal advice and support to foreigners in Cyprus. 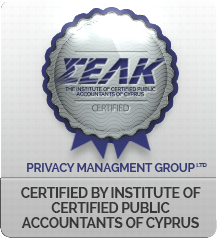 Privacy Management Group possesses the necessary certification according to ICAP. We also undergo a voluntary quality control review on an annual basis by the international TUV NORD. 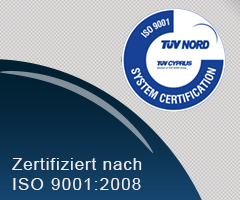 All services were certified in accordance with ISO 9001:2008. The most recent audit was performed in May 2016/7. 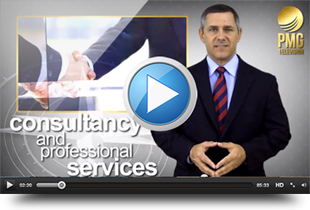 Our company group serves as a one-stop shop for a comprehensive range of services. Thanks to our Cyprus division, PMG clients can now enjoy the benefits of an advice centre in Europe. Which includes a banking advice department, in-house legal and tax advisers and the expertise of more than 3 decades worth of experience. The most recent audit was performed in May 2016/7 (view certificate). We look forward to assisting you! Privacy Management Group has been a core component of the world’s leading consulting firms in the fields of international company formation, business administration and banking services for a number of decades. The parent company of the group is Privacy Management Group, United Arab Emirates, based in Al Hamra Industrial Zone and Ras Al Khaimah. There are Advice Centres available, located in Al Hamra Industrial Zone and Ras Al Khaimah. Privacy Management Group is located in the Republic of Cyprus, near Larnaca Airport. At the Advice Centre, clients have access to incorporation specialists, legal, tax and banking experts as well as multilingual support services. The Centre also serves as an office to our internal bookkeeping department and offers clients facilities and conference rooms for confidential discussions with experts. Whether you prefer Europe, Dubai, Hongkong or Delaware, Privacy Management Group can offer you the right solution. Our friendly team of experts has the experience of over 3 decades and is always there to help. Take advantage of our free advice today!